I have a cute guest post up today, taking a tongue in cheek look at how to recreate world cup fever in your home. If you’re feeling desolate at the end of the world cup, then this may well cheer you up! Enjoy! Just because the World Cup is over, it doesn’t mean that football fans are quite finished yet. There’s all the replays to enjoy, extra commentary, and the excitement of getting to know what each team is going to get up to next. So to keep up to date with everything the World Cup offered this year, you’ll need a front room that’s kitted out to give you the best viewing experience. And it goes much further than just having a good TV! Here’s some of the things worth considering for the post-World Cup wrap up; or even for just when you have your mates round to watch all the highlights. Why bother going all the way to the kitchen when you’re comfy on the sofa? A beer fridge is an essential addition to any football fan’s front room, and they’re compact enough to fit wherever you need them to be. A beer fridge does just what the name suggests, although of course you can use them to store wine etc if you get one of the larger models. Sizes range from fridges that can fit a couple of cans, to sizes which will house enough to keep a big group happy for the full 90 minutes. Prices can range from about £30, large high-end ones will set you back a couple of hundred. Footstools are essential for the ultimate lounging experience. If you already have a sofa, getting the right colour can be a bit of a challenge; however, it’s not hard to find a footstool which comes in a different shade of the sofa you have. This is usually the best bet in terms of interior design. 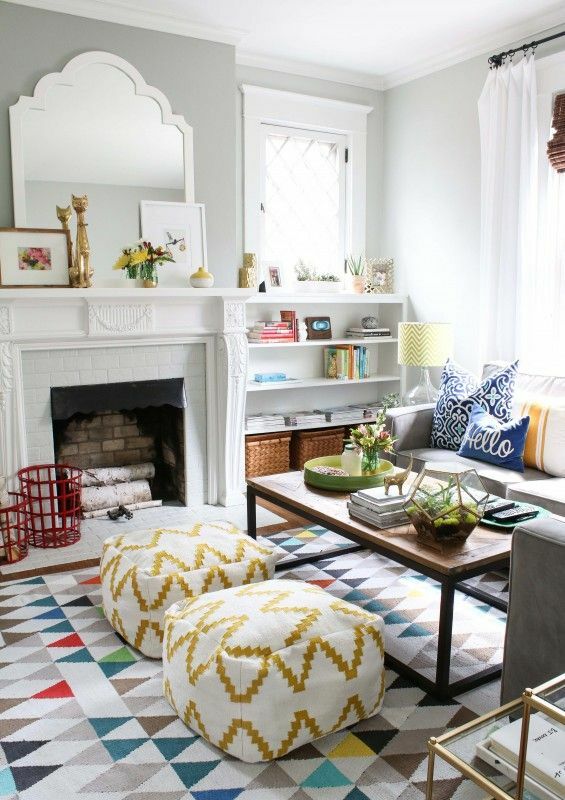 However, if you have a patterned sofa, you will find that a black or a white footrest is the best option. Footstools can be grabbed quite easily pre-owned from Preloved or from Ebay, and in a range of colours. A flatscreen TV is a must for the modern living room. Much less bulky than their ancestors, you can now get hold of LCD screens and Smart TVs, the latter of which can have direct access to the internet so you can stream your favourite shows. Flatscreen TVs can be surprisingly cheap these days; you can get some great TVs for much less than you would think just by browsing the internet. When it comes to getting hold of a good deal for watching live TV, it’s really not that difficult. In fact, many providers now will club TV with internet and phone plans. One such deal would be the Big Kahuna – the ultimate viewing experience from Virgin Media. This plan packs together your TV viewing with your internet and phone, which makes for a much cheaper deal overall. It’s well worth a look. Pizza time! These surprisingly useful little trays make eating in front of the TV much easier. Quite simply, they are a tray for your lap; they make eating dinner, or snacks, on the sofa a crumb-free experience – it’s no wonder they are becoming a staple for many households. Once your front room is kitted out with all this stuff, you’re more than ready to tackle the World Cup highlights from the comfort of your sofa. Gorgeous room! We used a beer fridge when Munch was a baby, so we didn’t have to go down to the kitchen for her bottle (milk, not beer!). The best invention ever! I love this design for a living space, great use of colour for a clean contemporary look.